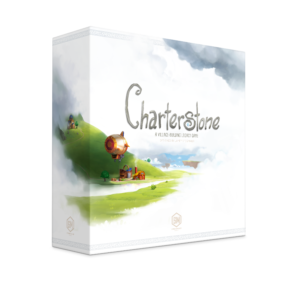 Charterstone is available from Stonemaier Games and retailers worldwide! The MSRP is $70 and the SKU is STM700. The Charterstone Recharge Pack, which includes all components that are permanently altered in the first campaign, can be added to play a second campaign. The MSRP is $30 and the SKU is STM701. Realistic resource tokens can be purchased for Charterstone from Top Shelf Gamer. Meeplesource also offers some custom accessories here.